By admin , in Arthritis on January 21, 2019 . 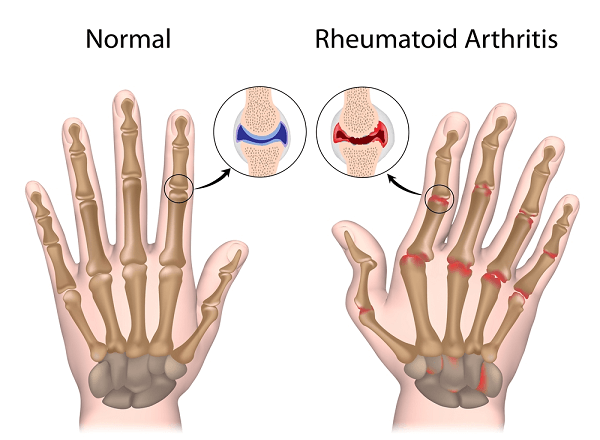 Rheumatoid arthritis (RA) is a common disease,affecting 1% of the US population, usually occurring in middle age and in women more than men.It usually presents with slowly increasing stiffness and aching in the small peripheral joints, particularly of the hands, and may progress to cause severeincapacity and deformity. The mode of presentation, the joints affected, and the subsequent progress are very variable. The disease may begin in one or several joints and may progress rapidly with almost continual acute infl ammation in the joints, or it may begin insidiously with morning stiffness only, perhaps progressing in semi – acute exacerbations, each involving more and more joints. Occasionally, the first manifestation of the disease may be a carpal tunnel syndrome or isolated tenosynovitis. The hands, wrists and knees are usually involved, but most joints can be affected, including those of the spine. There is often weight loss, weakness and loss of appetite, and, rarely, there may be mild fever during the acute attacks. Eventually, the joints become obviously inflamed, swollen with fluid and synovial thickening, restricted in movement and often with ligamentous laxity, allowing deformities such as the characteristic ulnar deviation of the fingers to develop. The joints are tender and feel ‘ boggy ’ , and there may be much muscle spasm. Tendon sheaths also swell, particularly in the hand, and cause pain on finger movements. Occasionally, the infi ltrated tendons rupture, producing secondary deformities and loss of function. Destruction of joint surfaces may also contribute to deformity in late cases. Remissions occur, usually temporarily, but occasionally the disease appears to burn out. The deformities are, of course, permanent. 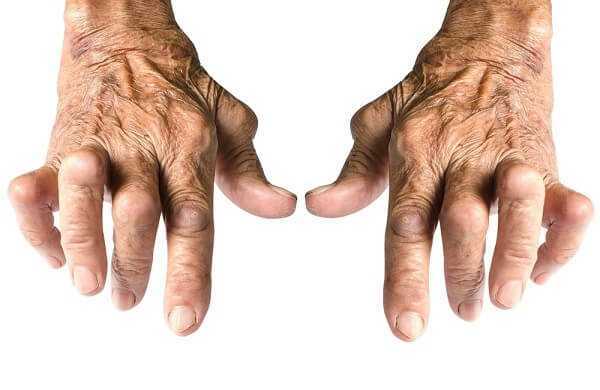 Secondary osteoarthritic changes are very common. RA is a multisystem disease and is associated with complications that can affect all the major organs. As a result it is associated with increased mortality. This seems to be largely attributable to increased cardiovascular mortality, hence there is an increasing appreciation of the importance of managing cardiovascular risk factors as is the case for diabetics. 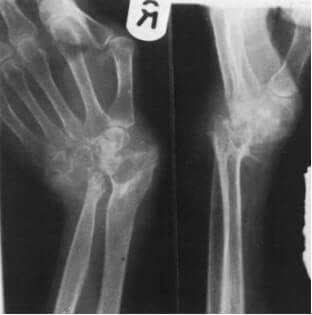 The earliest change is usually a diffuse porosis around the joint due to the effects of cytokines, with increased vascularity. Later, the joint space may become narrowed and destruction of the joint surface may be obvious. Subluxation and dislocation are common and occasionally ankylosis (spontaneous fusion) occurs. The diagnosis is usually made on clinical grounds, but early or monoarticular cases may be difficult to diagnose. The ESR is usually raised and sometimes the white cell count is increased. Agglutination tests, such as the sheep cell and latex tests, eventually become positive in at least 70% of cases. They are not often helpful in diagnosis, but tend to relate to severity. Synovial biopsy may be useful in excluding infective conditions such as tuberculosis. During the acute stages, rest and a helpful environment appear desirable, but their effects are uncertain. Bed rest may be needed, but contrastingly retaining mobility is important. Local measures include splinting painful joints followed by passive exercises when the pain becomes less, with long – term active exercises to maintain mobility. Wax baths and hydrotherapy all have a place. Click “Rheumatoid Arthritis Exercise” for additional information. This is essentially the management of a polyarthropathy, as described above. Synovectomy, removing the diseased synovium, can give excellent relief of pain, but there is conflicting evidence as to whether it slows down joint destruction. The knees and the joints of the fingers are best suited to this procedure. The synovium regrows in 3 – 4 weeks, but the rheumatoid process appears to be delayed, sometimes for several years. Synovectomy of tendon sheaths may prevent tendon rupture. Repair of ruptured tendons and capsular procedures may restore active movement to the fingers. Joint fusion. Certain joints such as the wrist benefit from fusion, but for most joints arthroplasty is more likely to give good function. Fusion of adjacent vertebrae may be necessary in the cervical spine when subluxation threatens cord damage. Arthroplasty. A wide range of procedures is vailable, using the same prostheses as those for osteoarthritis. 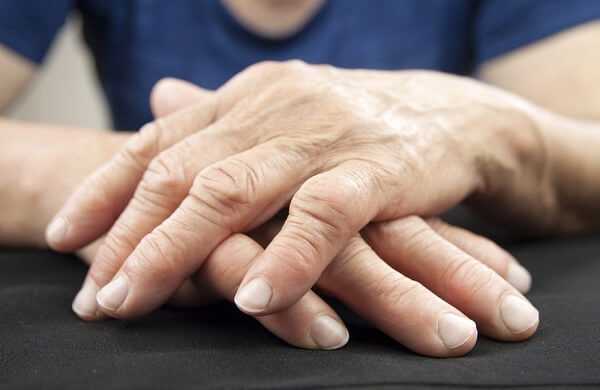 The results are often better than with osteoarthritis because the functional demands of the patient are less, but the risk of sepsis, particularly in patients on steroids, is considerable. Surgery is usually performed when the disease is well controlled by systemic therapy. These are all important in maintaining morale and independence. The patient ’ s work may need to be modified, and appliances and home circumstances designed to cope with his/her disability. Nevertheless, many patients do not reach this degree of severity and of those who do, most remain surprisingly independent.